A CO2 shutoff with barb for your CO2 regulator. 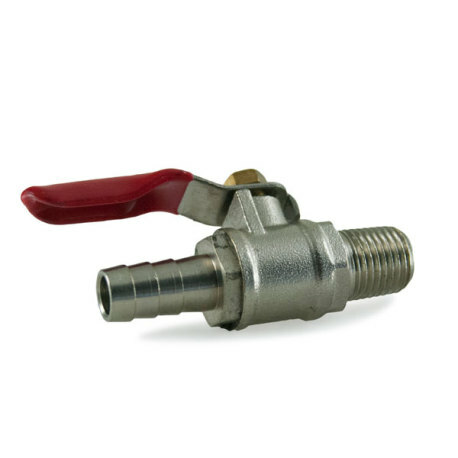 This CO2 shutoff with barb and check valve is ideal for use with CO2 regulators and manifolds! It has 1/4" MPT right-hand threading on one side that threads into most standard regulators and manifolds. On the other end is a standard 3/8" barb, which works perfectly with standard CO2 gas line. Get one of these to replace a damaged or missing shutoff, put on a wye splittler, or create your own CO2 apparatus!